You might hear it all the time, Dead Sea Salt is great for your body. But, do you know why? We will tell you about 5 of the top things Dead Sea Salt can do for you. People have been writing about the benefits of the salts from the dead sea region for thousands of years. It is believed that the Dead Sea is where Sodom once stood. The healing qualities of the Dead Sea are mentioned in numerous ancient writings. Cleopatra recognized the beautifying aspects of the Dead Sea and reportedly had cosmetic factories and retreats built along its shores. Biblically, it was a refuge and retreat for King David, and was the subject of a prophecy claiming that the Dead Sea would one day “come to life”. According to Josephus Flavius, a first-century historian, King Herod used to find relief for his aching body in the waters of the hot springs in the area. 1. Helps Heal Eczema: Warm baths with a handful of dead sea salt added can improve eczema by exfoliating the dead skin cells and flakes. In turn this helps sooth the itch as well as disinfect eczema patches while helping relieve pain. 2.Gently Exfoliates Skin: Dead sea salt has a slight abrasive texture that helps in sloughing off flakes and dead cells on the skin’s surface. Instead of using store-bought scrubs, use dead sea salt combined with a moisturizing ingredient like coconut oil or raw honey for clean, soft and smooth skin! 3. Increases Blood Circulation: Proper blood circulation is very important for a person to stay healthy and fit because if blood is not circulated efficiently then it could prove dangerous as if any area will not get proper access to blood then it may lead to death of the tissue of that area which thereby will cause malfunctioning of that part. When people spend time in the water of the Dead Sea then the minerals such as Magnesium, Potassium and Iron which are present in there are absorbed by the skin and thus helps to increase the blood circulation of the body thereby keeping the body healthy. 4. Reduces Joint Inflammation: Reduces Joint Inflammation: Joint inflammation, joint pain, loss of functioning of joints, joint stiffness, swelling of joints or redness is a problem that is faced by many people. It can also affect internal body organs and can thus lead to pain in organs. Presence of Calcium, Potassium, Boron and Strontium is very essential for the body to prevent inflammation and availability of these minerals in the water and sand of Dead Sea thus helps to reduce joint inflammation to a great extent. 5. Muscle Spasms – Potassium is essential for helping the muscles to function properly. 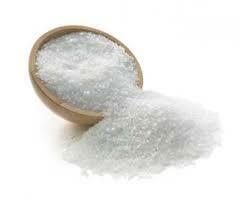 Sea salt not only contains small amounts of potassium, but it also helps the body to absorb it better from other foods. Thus it is effective in helping to prevent muscle pains, spasms and cramps. Here at A Scent To Remember we hand make a nice line of Dead Sea Salt Scrubs that will fit your needs. Follow the link to our store to read more about what A.S.T.R. has to offer.